Klaus Tschira, an SAP co-founder who helped pioneer the development of modern ERP (enterprise resource planning) software and turn the Germany-based company into a global software powerhouse, died Tuesday in Heidelberg at 74. Tschira founded SAP with four former IBM colleagues in 1972, with the intention of creating standardized application software for real-time data processing, a departure from the batch-oriented systems in place at the time. "Klaus Tschira's passion for the sciences, in particular mathematics and computer sciences, guided him throughout his life. With his foundations he opened the doors for many young talents to enter the field of science," SAP said in a statement announcing the death. No cause of death was given, but SAP said it was "unexpected." SAP completed its first financial accounting system, RF, in 1973. The software package became the cornerstone for a series of other software modules in what would be known as the SAP R/1 ERP system. 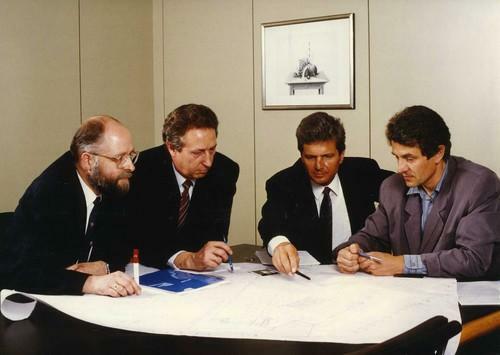 SAP R/1 and its successors became a key element in the business process re-engineering trend of the 1980s and 1990s, as corporations made real-time computing an integral part of doing business. After earning a physics degree and working at IBM, Tschira co-founded SAP in Mannheim, Germany, with Hans-Werner Hector, Dietmar Hopp, Hasso Plattner and Claus Wellenreuther. Tschira was a member of SAP's management board from 1988 to 1998 and was on its supervisory board from 1998 to 2007. Tschira established the Klaus Tschira Foundation (KTF) in 1995 as a non-profit to support projects in the sciences and mathematics. In 2008, Tschira and his wife Gerda founded the Gerda and Klaus Tschira Foundation. Though SAP's position in ERP came under assault from software heavyweights including Oracle and Microsoft, it remains a dominant player in the field. SAP is Europe's biggest tech company, with revenue of €17.6 billion (US$18.9 billion) and more than 74,000 employees in 2014.